It’s an emotional day for Alter Ego. My precious little girl, Luna, is undergoing paw surgery. You may remember, I adopted Luna and her sister Laguna a couple months back, after witnessing Luna’s abuse. I immediately took my two new babies to the vet and found out Luna had suffered repeated foot injuries. 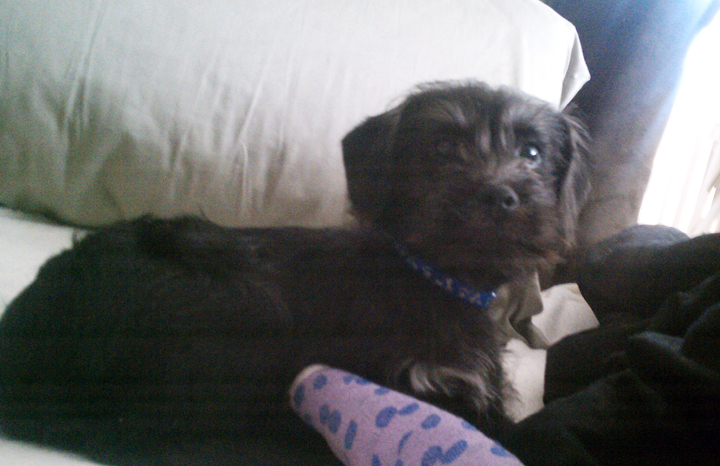 She is only four months old and has spent most of her life in a cast. It just breaks my heart! So, today, Luna Lovegood is undergoing surgery to finally get her back on all four feet. Please send her lots of love, I’m so emotional and can’t wait to have her back in my arms! Feel free to leave a love note for Luna Lovegood, and I promise to read her all of your well-wishes when she’s home.